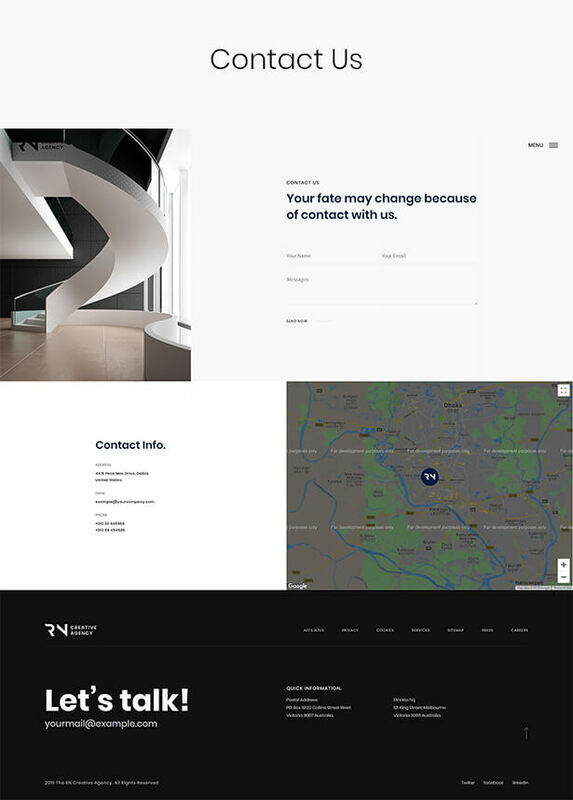 TheRN specially built for Creative Agency, Corporate website, Portfolio website, Photographer, Personal Portfolio and all kinds of Personal Portfolio & Business and others. 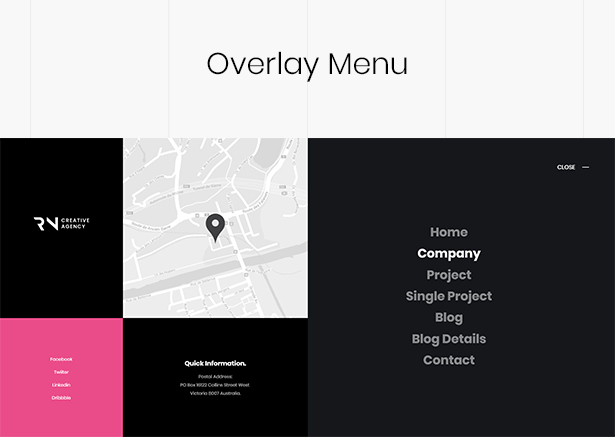 This Modern and Professional template offers Modern animation, Smooth Scrolling Animation sites etc. 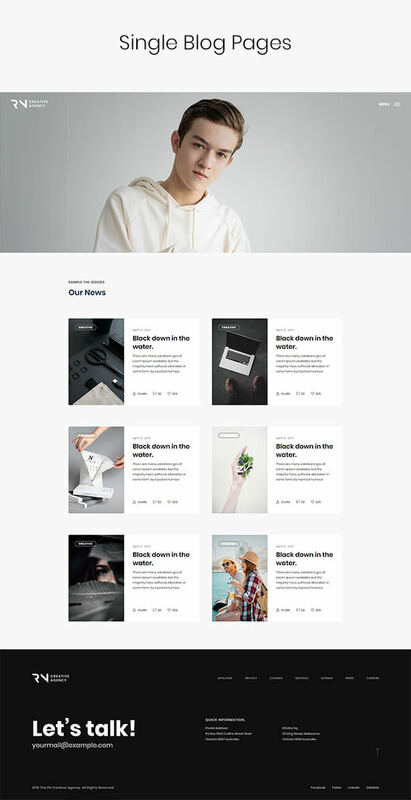 Key TheRN comes with Modern Scrolling Animation, Vertical Grid Line Base Design, 3 Column Overlay Menu with site info Parallax.TheRn comes with some features such as About your business, Awesome Project with Project Details, Client Review, Your Client, Blog, and Blog Details, and has some image with a popup like the medium style zoom. The Company pages have an awesome Teams section with awesome animation. It has Ajax Contact form W3C Validate Markup, and Well Documentation. 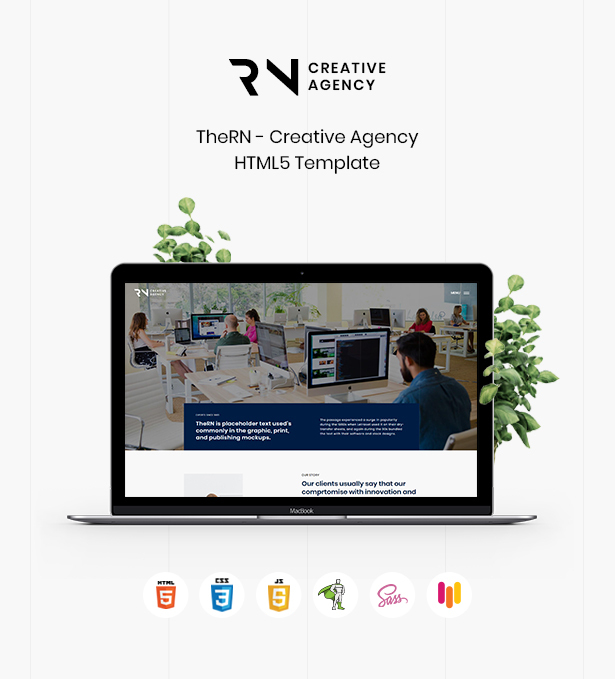 TheRN built with fully responsive, Cross Browser Optimized and smooth animation.Its features are perfect for a modern creative agency and corporate websites.